During May, United Methodist churches are encouraged to celebrate the contributions of older adults as participants in worship and ministry. Pictured, Bobbie LeRoy and Marie Chisholm participate in an organized celebration of birthdays for Saints Alive members. Photo from Killearn UMC. United Methodist churches across the nation are being asked to choose a Sunday in May to recognize the many contributions of older adult worshipers. In Florida, where census data and numerous retirement communities provide evidence of a significant older population, it may seem like a no-brainer for churches to celebrate Older Adult Recognition Day. After all, older church members throughout the state actively support projects within their congregations and beyond. 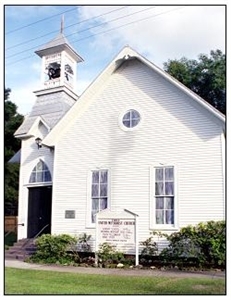 At Killearn UMC, Tallahassee, for example, the Saints Alive older adult ministry provides support to a church in Nicaragua; purchases and hand-delivers Christmas gifts to two families in Kentucky via the Christian Appalachian Project; and visits with residents of a nearby nursing home during the holidays, singing carols, providing gifts and sharing meals. But people involved in older adult ministries, including members of the Florida Conference Beyond 50 Ministries Task Force, say the complexity of today’s population presents challenges both to using the talents of older members and serving their needs. The very definition of “older adult” is open to debate. “Many churches have groups that meet that are targeted to senior citizens or seniors,” says Deborah Corbin, who helped found the Empty Nesters group at Grace UMC, Merritt Island, about 1.5 years ago. Thanks to older adults, First UMC, Archer, is a little church that could. Read this inspiring story about how a whole congregation pitches in to help seniors -- and their pets -- in a neighboring retirement complex. Empty Nesters, which is contemplating a name change to reflect its widening scope of interest, caters to baby boomers at the church, although some members are younger. “We're trying to expand the group to be more inclusive of people of this age, in the early 50s, that may not have had children, just because they would still be in this empty nester/baby boomer/on- the-edge kind of age group that would be dealing with questions of taking care of parents and also looking at retirement,” Corbin says. Grace UMC is also home to a Graceful Seniors group, but many baby boomers don't feel they're old enough to fit the seniors category. 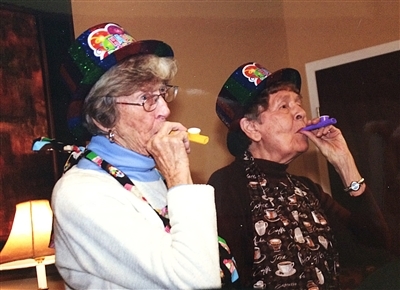 Sharing fellowship, ideas, support and adventures is common throughout the adult groups, whether for older or younger seniors. At Killearn, participants in Saints Alive range in age from 72 to 96, with the majority being in their 80s, says Pat Douglass, the church’s older adult ministry coordinator. The group has at least three activities per week, including Sittercize classes, Bible study, brunches, happy hours and excursions. Churches can provide fellowship and activities for older members, as in this exercise class for Saints Alive at Killearn UMC, Tallahassee. Saints Alive has tried to incorporate the boomer generation and faced reservations from church members on both sides of the retirement age divide. The existing group likes spending time with people their own age, Douglass says. On the other hand, at Parrish UMC in Manatee County, the Senior Angels group includes people from the midlife set. The group meets the first Wednesday each month for a prayer gathering. Members get to know each other better, share devotions and choose a card noting another member's prayer concern to address for the next month. The group also has traveled together to tourist sites like Port Everglades and Solomon's Castle, as well as dinners and concerts. The General Board of Discipleship's Center on Aging and Older Adult Ministries provides churches with support for learning about and navigating the complexities involved in addressing the full spectrum of older adults in their congregations. A 13-page document that provides resources – hymns, scripture, activities and concepts – for organizing Older Adult Sunday can be put to immediate use. The qualities to celebrate in older adult church members and the issues affecting their lives are sometimes hard to articulate. The prejudices and misconceptions they face can be subtle and pervasive. (Find out whether you're ageist by taking this quiz: http://www.flumc.org/oam/coa_quiz.htm). The month of May can be a time to examine ideas about aging, the elderly and how well older adult populations are being served in their churches. The need is real. -- Karen L. Shaw is a freelance writer based in Palm Harbor.